Fusion-io ioDrive2 Duo 2400GBPCI-E SSD kopen? | That's IT! Gebruikt, maar echt zo goed als nieuw: minder dan 1% van de totale levensduur van de 17 PetaByte Endurance Rating van deze flashdrive is verbruikt. U koopt dus een vrijwel nieuw product voor een fractie van de originele prijs! 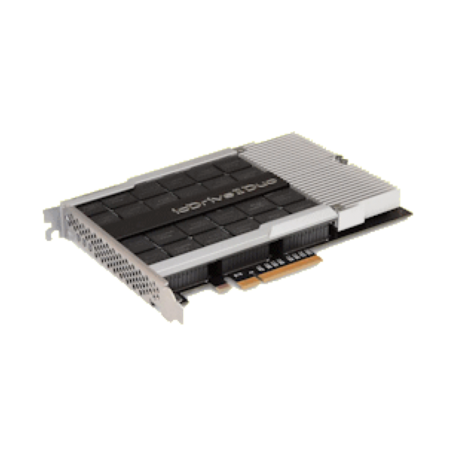 The ioDrive2 Duo provides 2.4TB of capacity per x8 PCI Express slot. This allows organizations to handle heavier workloads; add capacity for future growth; ensure applications seamlessly handle larger traffic spikes; and consolidate more infrastructure. 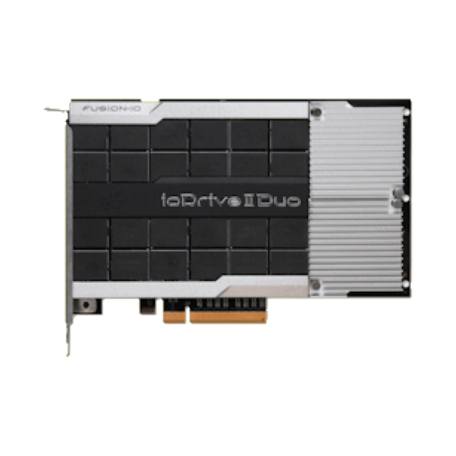 Combined multiple ioDrive2 Duos deliver the same industry-leading low latency, while achieving gigabytes of bandwidth and hundreds of thousands of IOPS with a single server – to power data warehouses and other big data applications. The ioMemory platform provides consistent low latency access for mixed workloads with 15-microsecond access latency, 3GB/s bandwidth, over 700,000 read IOPS and over 900,000 write IOPS. The sophisticated ioMemory architecture allows for nearly symmetrical read and write performance with best in class low queue depth performance, making the ioDrive2 Duo ideal across a wide variety of real world, high-performance enterprise environments. Get the maximum capacity in the smallest footprint to cache more process-critical data close to application CPUs – where it is needed most.